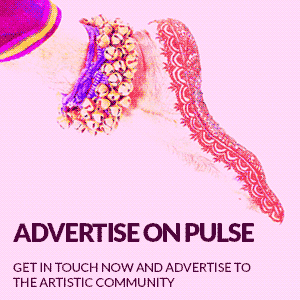 A sold-out show of traditional classical bharatanatyam margam (repertoire) with a full ensemble of musicians in a popular dance venue in London is reason to rejoice. Swati Seshadri, a talented dancer and singer, mentored by Seeta Patel, dazzled everyone with her stamina, energy and power, intertwined with some playful and expressive abhinaya. An ensemble of young and upcoming musicians should also be praised for their cohesive and apt accompaniment for Swati’s dancing. Swati started with an invocation to Ganesha, followed by a tisra (three-beat cycle) alarippu (an invocation piece). Beyond the oral syllables used by the nattuvanar to maintain the three-beat cycle, this traditional piece had morphed beyond recognition. The innovativeness of choreography by Seeta Patel although eye-catching, was a tad overzealous to the traditional eye. It makes one wonder what the whole point of the exercise was? For the uninitiated, the traditional alarippu would have been equally captivating, and for the connoisseur, a well-executed alarippu would have been a delight in itself. Introducing a few innovations makes one sit up, but completely changing the piece, with no original to contrast the innovations against, leaves one dissatisfied. The centrepiece of the evening was the classic Charukesi varnam where the protagonist questions Lord Krishna’s apathy towards her. Swati started by singing the first couple of lines followed by an explanation, which made the piece accessible. However, it is extremely demanding for a dancer to sing immediately after having performed and her mellifluous voice bordered on flimsiness as she struggled to hold the notes. This was unnecessary as the average audience would have been suitably impressed by the multi-talented Swathi even without her double-act. The start of the varnam with a solid Trikala jati (three-speed pure dance sequence) was robust, with a good grip on laya (rhythm) and flawless execution, proof of all the hard work and training that went into the evening. Clean lines, good azhuttham (strength) and confident presentation of steps defined Swati’s pure dance sequences. She should, however, pay more attention to finishing every step precisely, especially at high speeds; work more on the araimandi (half-seated stance) and at times the excessive shifting of weight between legs leading to loose hips. However, Swati maintained a commendable amount of energy throughout the varnam. The choreography of pure dance sequences was refreshing, peppered with signature Seeta Patel moves, but I would have loved to see more complete step sequences instead of ‘filler’ steps. Also, the curious lack of arudhi (refrains) in the first half of the varnam did leave an impression of lack of punctuation. Swati’s abhinaya was emotive, but exaggerated, with excessive head nods, and at times it was confused, with not much sthayi bhava (base emotion). In pieces like these where a lot of what’s expressed is not in real time but on recall – ‘oh, remember the sweet times of the past’ – one must be very careful not to portray it in real time, as the current state of mind will colour the recall. Swati fell into the classic trap of conveying everything in real time, forgetting the current state of mind, which then results in loss of continuity despite the abhinaya being extremely expressive. The overall result was a series of perfect poses, extremely well-rehearsed expressive sequences interspersed with brilliant footwork, all of which had an instant wow factor but did not leave much to savour long after the performance, which is a hallmark of classical work. After a short violin interlude of a racy Thyagaraja composition, Swati presented ‘Ardhanareswaram’, a Deekshidhar composition intertwined with a sloka by Aadhi Sankaracharya. Strong, fast-paced footwork with super-light aakash bramaris (aerial twirls) packed a punch into the whole evening. However the abrupt finish of the piece with simply the first couple of lines of the composition raises some important questions. Can we chop and change, mix and match lyrics of popular numbers on a whim? This is a much bigger debate we need to have, especially within the realm of classical arts. The javali, ‘Avadhuruku’, a fast-paced light-hearted piece of a young girl teased by her friends, suited Swati’s natural style of abhinaya and lifted the mood of the audience. She could have introduced more variations, and there were curious happenings like finding a bed in the middle of a fun-fair; maybe it was a store displaying beds for sale! This was a fun piece. It wasn’t until this piece I realised that the ragams (melodic scales) chosen for the evening were all equally melancholic and the mood was broken by the peppy Khamas number. However, this didn’t last long before we were dropped back into another melancholic number, a thillana in Sumanesa Ranjani. The downside of having all pure dance numbers in top gear means there was nowhere to go in the thillana, the traditional fast-paced power-packed number. In fact, the thillana was losing a bit of steam and Swati seemed to go into autopilot. Srutti Sureshan on vocals, a promising dance vocalist, had a good grip of the evening most of the time, except when the wrong notes were sung in the middle of the varnam, and the amateurish alapana to start off the evening. Vibha Selvaratnam on nattuvangam was good at maintaining rhythm, but she would benefit from infusing more strength and nuances into the rendition of shollus. Abhiram Sahathevan very ably wielded the mridangam, especially in the pure dance sequences, although most times the mridangam was drowning both the vocal and nattuvangam, probably no fault of his. Adithya Venugopal and Madhusoodhanan on the violin and flute played their parts to perfection as accompanying musicians. Overall, the evening was a grand success from the point of view of bringing classical bharatanatyam margam to London audiences. 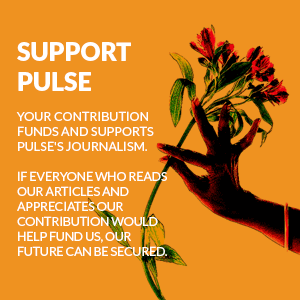 Pulse welcomed feedback from readers on two points raised by the reviewer. Is it desirable that we have new forms of the Alarippu? Can a dancer/choreographer take the liberty of editing well-known music compositions for the purposes of dance choreography? The responses below have been edited from a facebook discussion. The full discussion thread can be found here. 1. Yes I think the Alarippu format can change. Take a pallavi in odissi: the cliche idea is that it starts slowly and then increases in speed but many traditional pallavis start with energetic movements and then have a slow one, then fast, then slow again. 2. Yes one can mix and match (collage technique has been used for a century) but this should be made clear in the programme notes. 1. I'd welcome different ways of performing the Alarippu; Rama Vaidyanathan's Mayur alarippu is quite the buzz, and here's one I came across recently that's 'different' to the traditional sequence. It's from 1992! And there's no mention of choreographer, so difficult to ascertain if this is 'traditional' or an innovation – Dominique Delorme Bharata Natyam Alarippu. What these two examples share, however, is that the context and intention of the Alarippu isn't lost. Movements begin simply and progress to compound sequences. In many senses, the Alarippu has a linear trajectory: from slow to fast, from simple to complex. This is its classicism. Change simply for the sake of it is ostentatious. I personally find that a lot of (contemporary) work suffers from this dilemma because choreographers don't really know what they want and hope simply that something 'different' will do the trick. 2. In the same vein, if the context and intention of the literature isn't lost, copyright laws aren't infringed upon, and the choreographer knows the music well enough to bend the rules, I'd be happy to witness such changes to choreography/composition. Swati Seshadri: I agree with both of your points Elena and Sooraj regarding the Alarippu and the mixing and matching of compositions. I think most importantly, it’s great to have this dialogue. The Alarippu has certainly split opinion (with it even being some people’s favourite piece of the evening!) but finding oneself thinking so deeply about an Alarippu - its meaning, its purpose, its ‘requirements’ – surely only deepens our understanding of the art form itself. The experimentation and innovation opens the door for the most crucial thing – reflection and dialogue. Elena - great point - I will ensure to include this on the program notes next time. Elena Odissi: I have some problems with this review, as it really downplays with some of its word choice a very strong performance/work. I can see the reviewer is a traditionalist, while Seeta’s choreography, while working from bn, is clearly experimenting with its potential... experimenting means often turning how things are ‘normally’ done upside down. The performance was very energetic throughout and I can see how someone looking for a more gradual and organic emotional journey can feel dissatisfied... I personally think audience should not ‘expect’ or ‘evaluate’ a performance against a rather crystallised idea of tradition but enjoy a work on its own. I loved the singing in the varnam. I found it fresh and can’t stand the traditional way of introducing items any more. The performance excelled in clarity and I still hold images of it. Some comments in the review may be right (I’m unable to judge) but well... we are all on a journey of learning/understanding/interpreting. Geetha Sridhar: Elena Odissi very well said! Yes I agree that some aspects can be made clear in the programme notes. But the reviewer can also have a chat with the performing artist and the choreographer (post performance) to obtain further insight and write an informed review. My personal opinion was that the performance was totally inspiring. A home grown talent of such high quality dancing is a rarity. No performance/production is perfect. In interpreting a performance, particularly in diaspora, ‘perspective’ is an important aspect to consider. Though the reviewer gives a positive comment on every piece performed by Swati before essaying on the negative aspects, the imbalance of it seems unfair. I sincerely hope that the dancer and choreographer continue their collaboration with the same enthusiasm as with Nivedin and bring out new productions. Their dance contributions are much needed and appreciated. Every little step forward helps the South Asian Dance fraternity to flourish in British diaspora. Jaivant Patel: I must admit a real uncomfortableness reading this review. It seemed weighted on the reviewer’s taste and preference, not about the artist’s voice or journey. I agree with Geetha on this. Swati Seshadri: Having now had the time to read and reflect on the review and your comments, I would like to thank Annapoorna for her insightful review. An outside, third party perspective is crucial if I am to continue to focus my practice in any meaningful direction. I welcome (and actively seek) feedback from everyone – be it a traditionalist, modernist, or whatever is in between. The reviewer is a knowledgeable artist, herself skilled in both dance and music. I feel humbled and privileged to be able to have a two-way dialogue with my co-artists..
Joyce Kakariyil Paul: Swati Seshadri what a balanced, open hearted, mature response. Truly wish more artists had this thought process. I am inspired. Annapoorna Kuppuswamy: I am quite surprised at the rather aggressive responses to the review! Firstly, I thought it was an amazing performance – I thought that was made quite clear. And secondly I certainly did not simply point out inadequacies but said why I thought so and how some of them could be addressed, which I thought was the definition of constructive criticism. Experimentation does have its place, however, when a performance is pitched as classical, there will be some expectations – it’s odd for an audience to walk in with no expectations... high energy it was, which was fantastic, but controlled energy will give it classicism; when you say ‘sedate pace’, that doesn’t mean it should lose energy. Alarippu is a beautiful piece in itself; agreed there are always many ways of performing it and many innovations have been done in the past; that doesn’t mean innovations always appeal. Given the very few times it is performed outside of arangetrams, it is a shame that we are losing such beautiful pieces to ‘innovations’. Carnatic music compositions, such as those of Deekshidhar and the like, are not simply about lyrics and meanings, they are also about the intricate meters and interplay between meters and pace between pallavi, anupallavi and charanam. Simply singing the pallavi just because the lyrics suit your purposes may not infringe copyright but it certainly is destroying the original intention of the composer. Why not simply make up your own words and set it to to a tune? There would be no problem with that at all! It is great to have a debate going. It would be great to see more margams being performed, Akademi Mira Misra Kaushik there is a lot of interest in margam! Let’s see more margams being supported!